Hang-glider pilot since 1987. Integral training and test pilot at the Moyes Gliders factory, Australia. Hang-gliding instructor and tandem pilot licence holder, obtained at Quest Air, USA. International FAVL master instructor’s licence. President of the Argentinean Federation of Free Flight from 2002 to 2008. Member of CADEA (Argentinean Confederation of Aerosports Organisations) from 2002 to 2006. Participant in various national and international championships, such as Australian Pre-Worlds and World Championship; Brazil Pre-Worlds and Argentinean team leader in the 2003 World Championship in Brasilia. Organiser of 4 international championships and various events in Argentina. Skydiver. 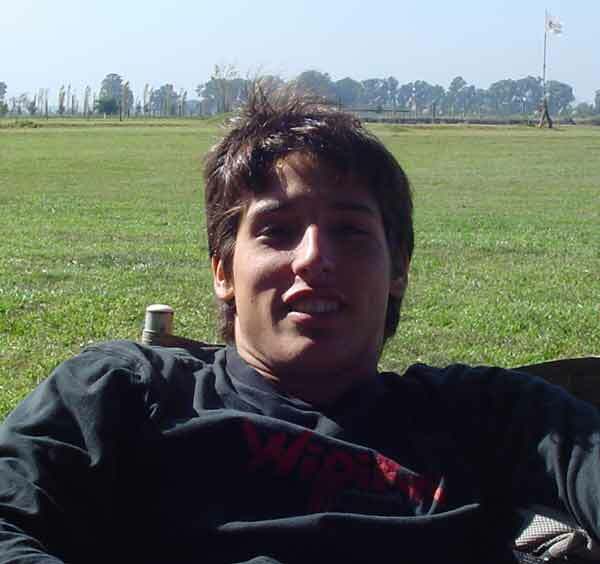 Member of the executive council of the Argentinean Skydiving Federation. Participant in the latest world records of CRW (Canopy Relative Work). Organiser of national events. Hang-glider Pilot since 1998, Hang glider Instructor. Hang-glider Instructor and Tandem License obtained at FlyRanch Buenos Aires. FAVL (Federación Argentina de Vuelo Libre) Examiner. Ex member of FAVL . Hang-glider Pilot since 2006, Hang glider Instructor. Team member of Flyranch at competitions.